Dale Jones, 30, of East Bawtry Road in Rotherham, gave no reaction when found guilty of murdering Mushin Ahmed, 81. A lack of reaction matched only by his lack of remorse. Judge Mr Justice Males said Jones was a ‘racist thug’ who cared little for the suffering he caused. Jones had refused to see Mr Ahmed for what he was: a loving and kind husband, father, and grandfather. A pensioner who commanded respect and adoration from the local community. His family recalled a man who smiled and spoke to many people. A man who imparted his strong moral core on those around him. August 10, 2015 should have been an uneventful evening for Mushin Ahmed. He should have been able to attend early morning prayers at his local mosque. Dale Jones, however, took that from him. Though others shared in his crime. 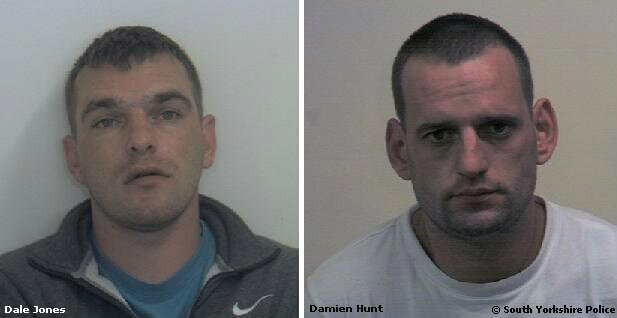 Damien Hunt, 30, of Doncaster Road in Rotherham, helped stalk Mr Ahmed. He and Jones walked together like ‘soldiers’, according to the prosecution. Here, Jones had reduced Mushin Ahmed to a slur that grows more common in Rotherham – ‘groomer’. A reference to the nightmarish child sexual exploitation scandal in the town. Where criminal gangs exploited vulnerable young girls due in part to a wider culture of indifference and victim blaming. Mr Ahmed ignored the abuse and walked away. Hunt and Jones soon had the 81-year-old trapped. Hunt then punched Mr Ahmed to the ground before Jones stamped and kicked the pensioner. The sustained assault matched the venom of the intended slur. A shoe print left on Mr Ahmed’s skin matched the brand of Adidas trainer Jones had worn that evening. He left Mr Ahmed with fractures to his eye sockets, nose and jaw. For his part, Damien Hunt, had punched Mr Ahmed with such force that it removed the pensioner’s dentures. Officers found Mr Hunt’s blood still on the broken dentures when they arrived at the scene. Both men had launched their attack at around 3:20am. They left Mushin Ahmed to die. Around an hour later and Jones saw a friend and told him ‘It is a good job you are not a P*ki’. A passer-by found Mr Ahmed laying in the grass at around 5:25am. He had been alone and in terrible pain for two hours. Bleeding and brain-damaged, he coughed blood upon arrival at the hospital. Dale Jones, however, spent that time trying to wash away Mr Ahmed’s blood from his clothes. Forensic pathologist Dr Charles Wilson told the jury at Sheffield Crown Court that Mr Ahmed died from pneumonia. An illness common with patients that suffer serious head injuries, he argued. Days after his murder, a vigil brought together local Yemeni communities and members of Unite Against Fascism. Jones and Hunt appeared in court a month later. The charge of assault causing grievous bodily harm with intent turned to murder. After the funeral in October, his family released a copy of the memorial card through South Yorkshire Police. It read: ‘Each time we look at your picture you seem to smile and say “Don’t be sad but courage take, and love each other for my sake”‘. During the trial, the prosecution revealed that Hunt had lied in his first police interview on August 13. He told South Yorkshire Police that his bloodied knuckles came from hitting a lamppost while riding his bicycle. After CCTV placed both men at the scene, Hunt remained trapped in his lies. A week after his initial police interview, he told police that he cut his knuckles trying to stop Jones from assaulting Mr Ahmed. That would again change under scrutiny. During the trial, Hunt maintained that he had punched Mr Ahmed by accident while attempting to stop Dale Jones. Piolice found spots of Mr Ahmed’s blood on his trainers. Hunt later admitted going fishing for two hours after the fatal assault to ‘avoid’ the police. Under cross-examination he also claimed that he had convinced Jones not to return to the scene and further the assault. Dale Jones gave ‘no comment’ answers to police and declined to testify during the trial. The content of his character during the trial pointed to a history of violence and racism. On the night of the fatal attack, Jones had attempted to attack an Asian taxi driver and shouted racist abuse at him. He had made death threats against his girlfriend’s former partner earlier that day. The mixture of alcohol and cocaine served to heighten his racist and violent urges. Jones had received an eight-week suspended sentence in relation to football hooliganism. Probation officer Alisdair Kirkpatrick told the jury that Jones had said to him that ‘P**** make me very angry’. Kirkpatrick asked why and he replied: ‘All P**** are rapists’. Jones had also kicked a man in the head outside a pub. He had assaulted his ex-partner in front of their child. Jones had punched her in the face and had attempted to gouge her eyes. In another example of violence, Jones and two others had assaulted a man from behind and leaving him unconscious. Peggy Ahmed spoke of her deep grief at losing her husband of almost 50 years. “I have the rest of my life to spend without my beloved husband and my pain and loss is almost indescribable,” she said. They had lived in the same house together for 47 years. Dale Jones will now spend the rest of his life in prison, with a minimum sentence of 32 years. The jury found Damien Hunt not guilty of murder; but he will spend 14 years in prison for manslaughter. Detective Chief Inspector Victoria Short, the Senior Investigating Officer for this case, said: “The pair refused to take responsibility for their crime, putting Mr Ahmed’s family through the further distress of a court trial where they had to hear in detail what happened to their loved one. This family have demonstrated exceptional strength and dignity while listening to shocking evidence”. 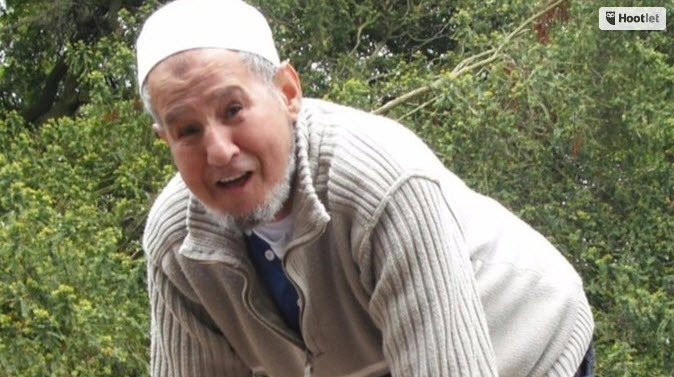 The post The Mushin Ahmed trial: when anti-Muslim hate turns to murder appeared first on TELL MAMA.